Tucked away inside division 53 of Pere-Lachaise is a wonderful bit of imagination crafted in stone. Aside from the letters “MB” on the pedestal and the name "H. Reifenberg," virtually nothing is known about this stunning sculpture, its sculptor or the deceased. 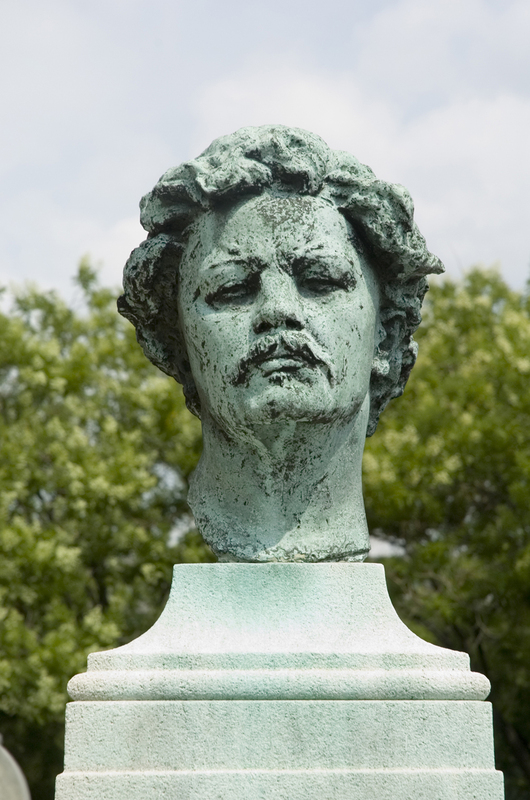 It nevertheless remains one of the more strikingly unique and puzzling sculptures in Pere-Lachaise. Appearing half-finished this life-size sculpture has always struck me as an oddity of the best sorts: here's a young woman coming out of (or disappearing into) stone. Is she half in and half out, going neither one way nor the other? If you look closely you'll notice that she seems to be at a standstill, thinking, with one hand poised behind her left hip and the other under her chin. What is she doing? Whatever she's up to, I find her most engaging -- and continue to wonder just who was this curious "Reifenberg" and what was the story behind the woman in stone? 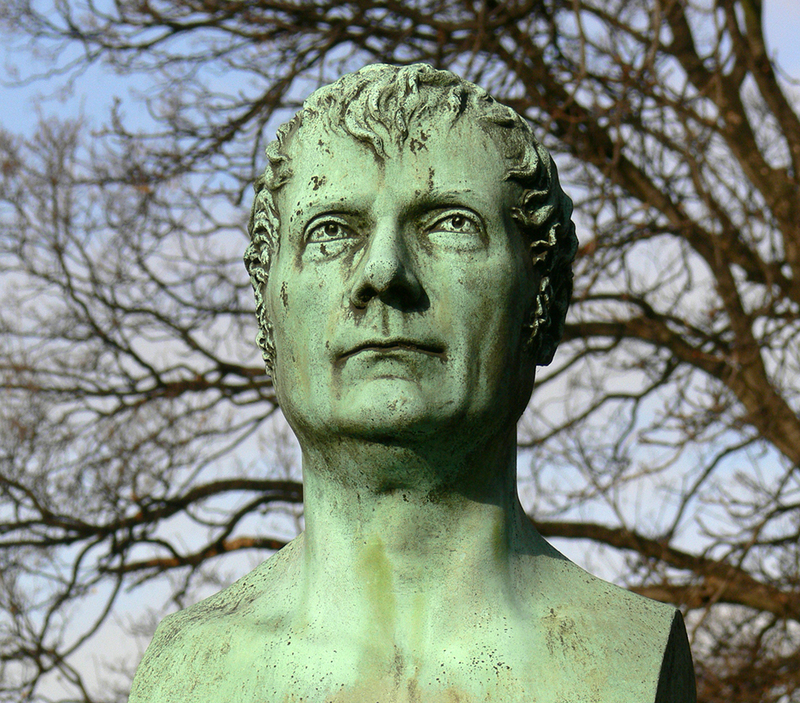 An online search reveals little about H. Reifenberg. According to Adam Yekkes, in 1920s Paris there was a pianist "Madame Reifenberg" who lived at no. 8 in the very avant-garde, very exclusive rue Mallet-Stevens. Close by lived twin brothers who were both sculptors, Joel and Jean Martel. At no. 7 lived Daniel Drefyus and nos. 3/5 lived Madame Allatini. So, who was H. Reifenberg? 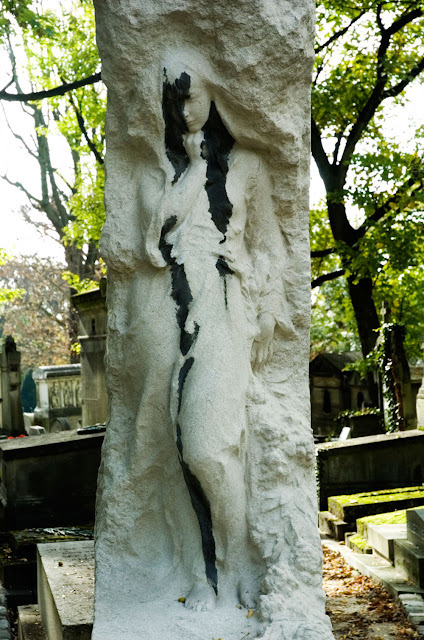 One of the more striking, unique and puzzling sculptures in Pere-Lachaise. Appearing to be half-finished it has always struck me as the woman is coming out of (or disappearing into?) the stone. Either way, I find it most engaging -- and continue to wonder just who was this most curious "Reifenberg". . .